When we talk about the world of cinema it wouldn't be a hyperbole to say that Damien Chazelle is the next big thing. After his sensational film Whiplash (2014) that rocked the world, Chazelle is back with another potential Oscar winner, La La Land. Having already created buzz in the film circles, starting with the Berlin Film Festival where it won the best actress award for Emma Stone, La La Land is seen by many as the biggest film of the year. La La Land revolves around a struggling jazz musician (Sebastian) and an aspiring actress (Mia). 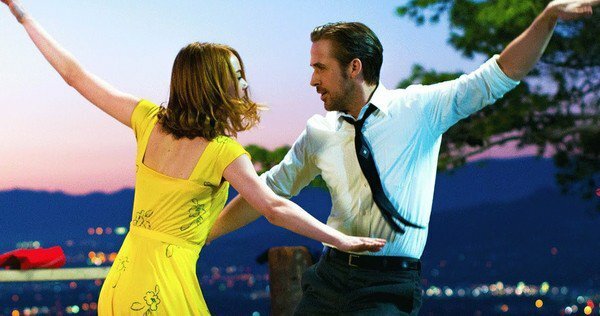 Set in modern-day Los Angeles, La La Land is a musical that explores the joys and pains of pursuing one's dreams while living an everyday life. The film stars Ryan Gosling and Emma Stone in the lead roles. Apart from the sizzling romance between Stone and Gosling, the one thing that caught my attention was a scene in which a character played by the Oscar-winner J.K. Simmons fires Sebastian. "It's Christmas", pleads Sebastian. "Yeah, I see the decorations. Good luck in the new year," retorts Simmons' character. The night scenes have a dreamy air to them and going by the movie's colorful rushes one can safely say that Chazelle has a really engaging musical to offer. Some may even be reminded of Jacques Demy's The Umbrellas of Cherbourg (1964), starring Catherine Deneuve. La La Land is slated to release on December 16, 2016.